Not to be confused with the Charleston minor league baseball team, Riverdogs is the iconic rock band formed in the late Eighties by musical heavy hitters (Are you following the metaphor?) Rob Lamothe (vocals, guitars), Nick Brophy (bass, vocals), Vivian Campbell (lead guitar), and Marc Danzeisen (drums). Their debut self-titled album garnered much praise and respect from fans, press, and peers. But continued success for Riverdogs was fleeting. 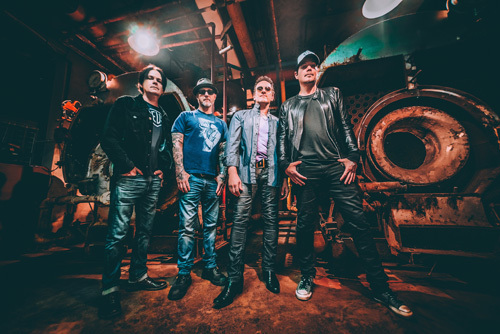 Fast forward through two studio albums and one live album to the present, where we find the original band dropping their fifth album, California for the Frontiers Music label. Though originally formed in the Eighties, Riverdogs really didn't wish to do the whole sleaze glam hard rock and metal thing that possessed that decade. No, they opted for a melodic hard rock with some blues infusion. To varying degrees, that's what you find within California. The blues groove is more present in songs such as Something Inside, I Don't Know Anything, Catalina, and Welcome To The New Disaster, one of the finest songs of the bunch. But there's more variety here. American Dream is a full blown rocker, and rightly kicks off the album. You're Too Rock n Roll finds Riverdogs in a storytelling Southern California style ala The Eagles. Then the band tunes into their AOR groove with catchy The Revolution Starts Tonight with its spry riffs, smooth melody, and fine refrain. Then Riverdogs trips you up with The Heart Is A Mindless Bird. Starting soft and sweet in something like another AOR anthem, it slowly rises to rock out with speed and gusto in the end. Throughout California, Rob Lamothe delivers his smooth, melodic, and passionate vocals. He's easily one of the best vocalists in the business. To sell this album even more, Vivian Campbell lays down some groovy riffs and sweet solos. Friends, it's all good. Riverdogs' California is premium blues-infused AOR melodic hard rock, and quite recommended. 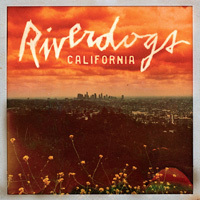 Riverdogs' California is premium blues-infused AOR melodic hard rock, and quite recommended.